Two things I love free and music. So put them together and it’s even better. Check it out. Free music legally. Mac fans (me and current blogging buddy soon to be mac fan matt.) We must wait until March 18th. If you have a PC or are just curious go check it out. This past Saturday we began the preparation phase of our kids wing redo. I am very very, excited. God has big things in store. After about a year and a half of planning and research we finally started knocking stuff over. I used to live in the northwest. Nordstrom’s was HUGE. In all my years in Portland, I never heard anything but positive things about them. What makes it even more amazing is Portland has quite an eclectic crowd. Many are very anti big business. What makes a company get so much positive buzz? They will do anything for their customers. Seriously anything. What will you do and what do you do for the guests who come to your church. What we do matter so much more than what Nordstrom’s does, why are we not more passionate about our guests? …..His personal shopper just smiled and coyly mentioned something about “magic.” He pressed a little further; he really wanted to know where they had gotten the tux. The personal shopper said she immediately began working on his request after he left and, through her connections, she found an Armani tux in New York. After calling New York to inquire about the tux, the distributor informed the personal shopper that they had put it on a truck bound for Chicago that very day. The personal shopper worked another web of contacts and, coordinating with the distributor, located the truck. The personal shopper then called the Nordstrom in that area and dispatched someone to meet the truck at a rest stop and retrieve the tux from the container. Keep in mind that my friend had to press her for this information. She would have never told him the story unless my friend had asked. 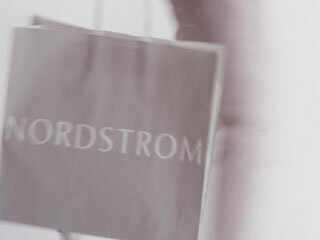 Not only did Nordstrom go to those heroics to find the tux, the personal shopper was aware of my friend’s time constraints and instructed the local Nordstrom to quickly alter the tux according to his measurements. It arrived in Portland, via overnight carrier, the next day, ready to wear. The kicker? Nordstrom doesn’t even sell Armani tuxedos.